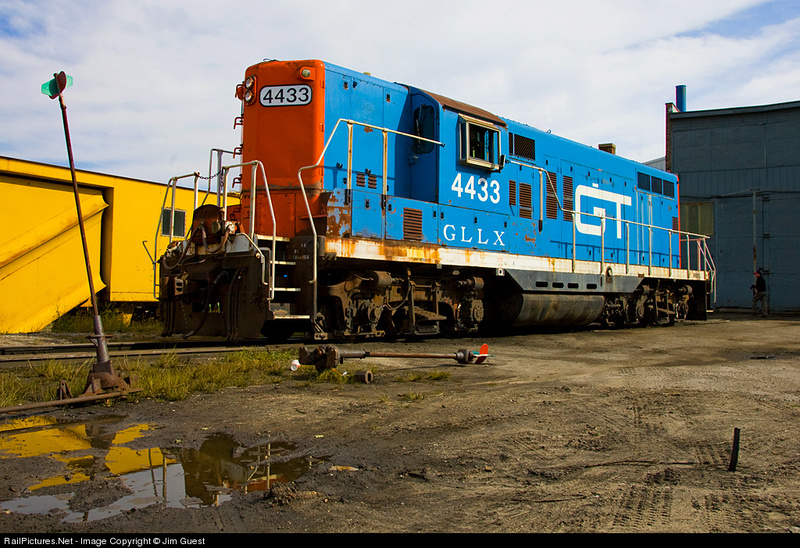 Marquette Rail is a Class III rail carrier that began operations in 2005 with the purchase of 130 miles of former PM trackage from CSX Transportation. The track operated by MQT consists of the former CSX Baldwin, Ludington and Manistee subdivisions. MQT interchanges all rail traffic with CSX and Grand Elk (via CSX) in Grand Rapids. Marquette Rail was aquired by RailAmerica in 2012. Announced February 1st, Official May 1st. 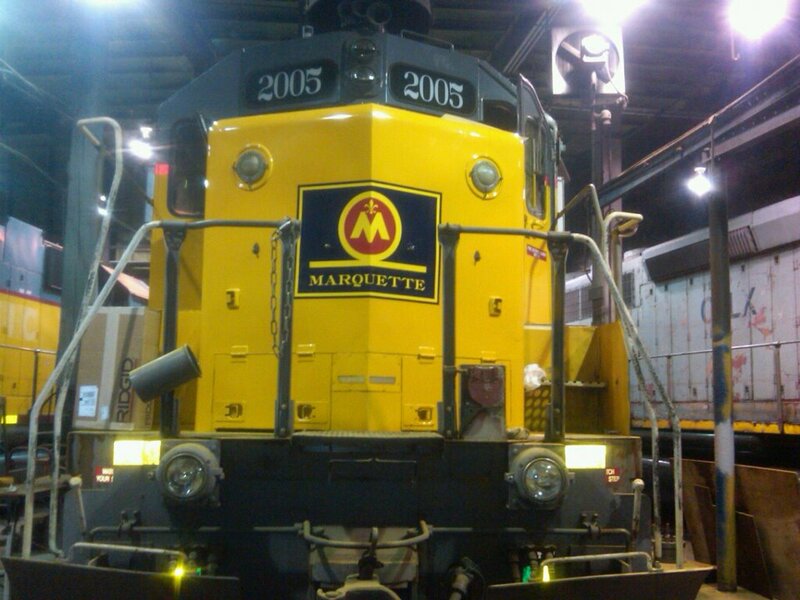 As of December 28, 2012, Marquette Rail as part of parent company Rail America was acquired by Genessee & Wyoming Corp.
Marquette Rail operates six regularly scheduled trains out of two crew pools: North, serving Ludington and Manistee, and South, serving Sparta. 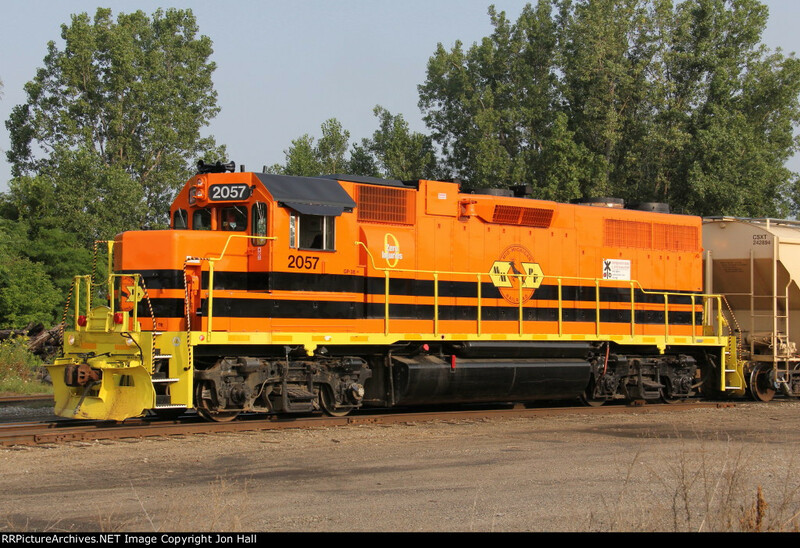 Click the link to view a picture of the locomotive. Many histories available this way as well. CSX Frequencies used while on CSX property south of Turner Street. Channel 14 is the RN Dispatcher, 08 is the CSX Road channel.